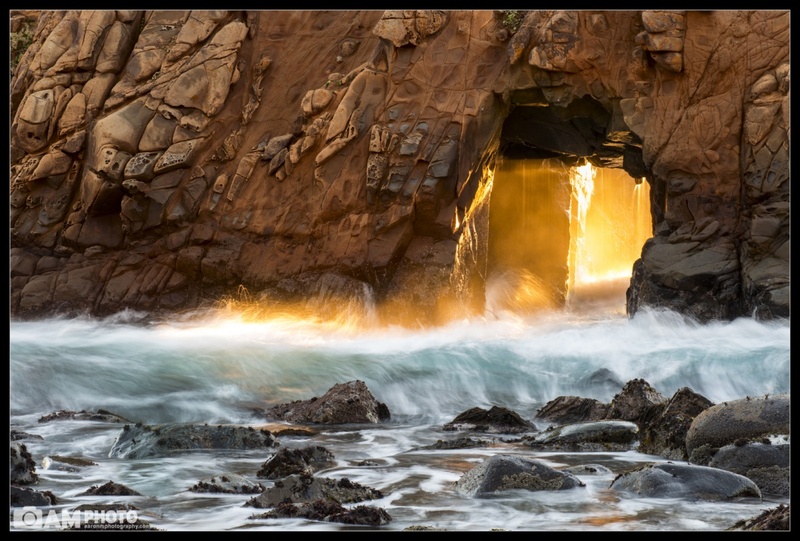 Every year thousands of photographers flock down to Pfeiffer Beach in Big Sur to photograph light beams through the Pfeiffer Arch (some people call it Keyhole Arch). During December, January, and a bit into Februray the sun sets at just the right angle that its rays will streak through the hole in the rock. As the sun nears the horizon the light takes an orange hue and water droplets in the air will reflect the lights orange color.